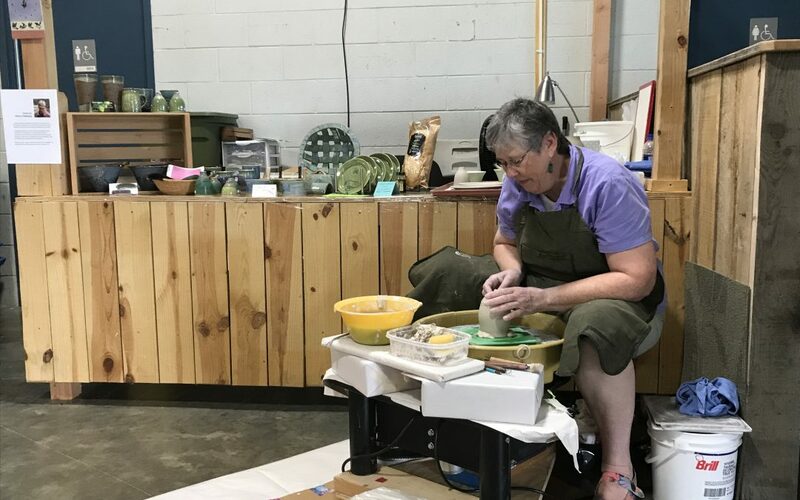 Local artisan and renowned potter, Ann Childress, will be at the SW Virginia Farmers Market in the Community Demonstration space today until 4:00 p.m. Watch Mrs. Childress as she creates art on her wheel. She is also well-know for her hand building. Stop by the market to visit with and watch the artist at work. You may always find her pottery at the Blue Ridge Plateau Regional Visitors Center. Ann enjoys creating utilitarian pottery that functions as fine art for daily use. The beauty of the natural world influences many of the design elements of her work.